Consistency is key... In the past two years our marketing team has really joined us on this journey, we’ve seen a huge increase in followers and engagement on channels like our @intelinvolved Twitter handle.  We spoke to Linda Qian, CSR Communications Manager at Intel to discover how they’ve approached their dedicated CSR Twitter handle @intelinvolved. In the close to four years that I’ve worked here at Intel, I haven’t seen a significant shift in the purpose of social media communications from a CSR perspective. We use it for a few key reasons: to learn what others are doing in the space, to share what we’re doing, and to encourage others to take action. These are consistent across channels and audiences, from consumers to socially responsible investors and CSR practitioners. The benefit we see in using these channels is the ability to connect and build relationships with stakeholders that our Corporate Responsibility Office hasn’t traditionally focused on, in terms of stakeholder engagement. It is fantastic to see consumers and other audiences learning more and becoming engaged in topics like conflict minerals and diversity in the technology industry. Consistency is key to success and influence in social media. In the past two years since our marketing team has really joined us on this journey, we’ve seen a huge increase in followers and engagement on channels like our @intelinvolved Twitter handle. I think maintaining consistency and creating original, inspiring, and quality content will always be a challenge. There’s never a point where you can close the book and say, “I’m done.” It’s an ongoing journey. Our primary social media channel for communicating sustainability and corporate responsibility is our @intelinvolved Twitter handle. It’s primarily managed by our marketing organization, with input from our Corporate Affairs organization, as well as stakeholders from across the company. We’ve had the handle for many years, along with our CSR@Intel blog. We try to ensure our content is relevant for different audiences, while recognizing that we’ll never be able to address everyone’s needs on a single platform. Consumers is a big focus for us, and socially responsible investors and research analysts are also critically important. Our social media approach to sustainability communications is not that different from our other corporate, brand, or product communications, and it’s key to have a consistent voice and style across channels. That being said, the content in the sustainability space is definitely more “feel good” than some of the content we have in other areas, like server performance or gateways. Make sure you resource your social media presence correctly. Don’t expect to be able to just add it on to your list of things to do. Work to integrate it into all of your outreach and strategy, don’t treat it as an afterthought. And most importantly, don’t take it too seriously. Try and have a little fun.